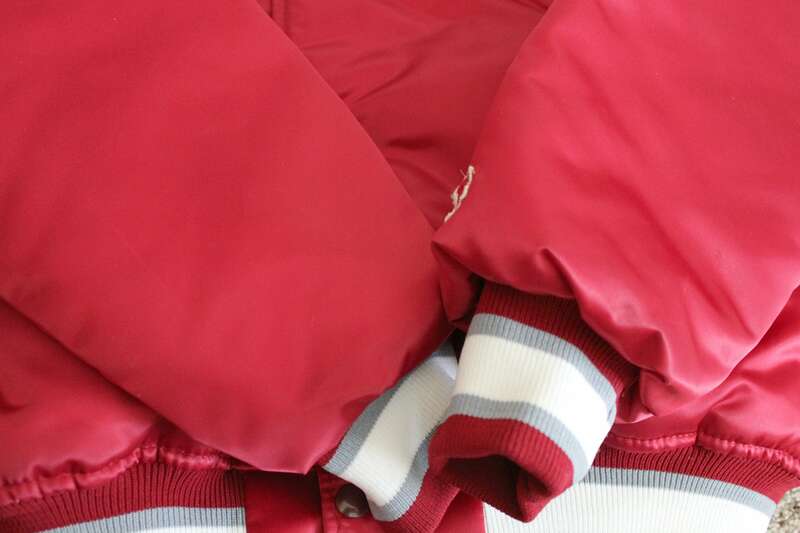 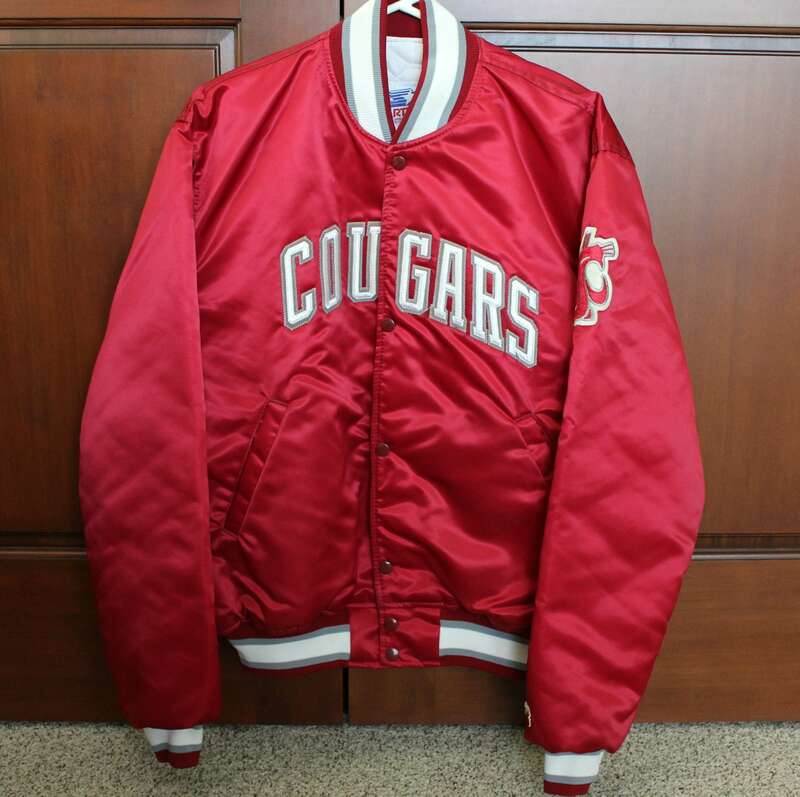 A nice vintage WSU Cougars by Starter jacket in a size Large. 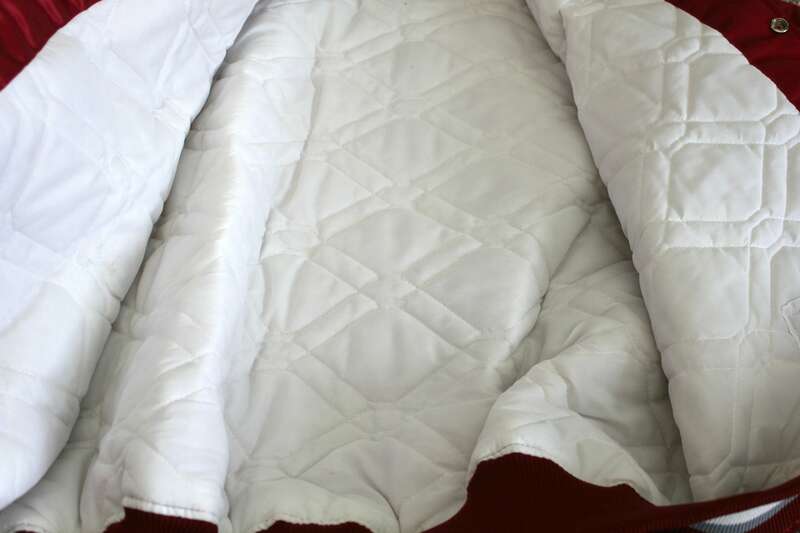 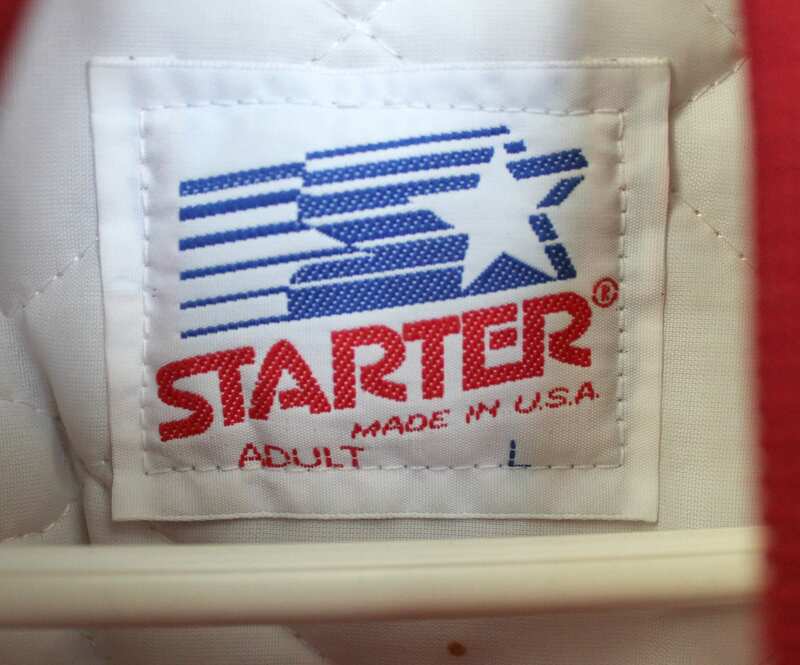 It is a satin nylon with polyester quilted lining. 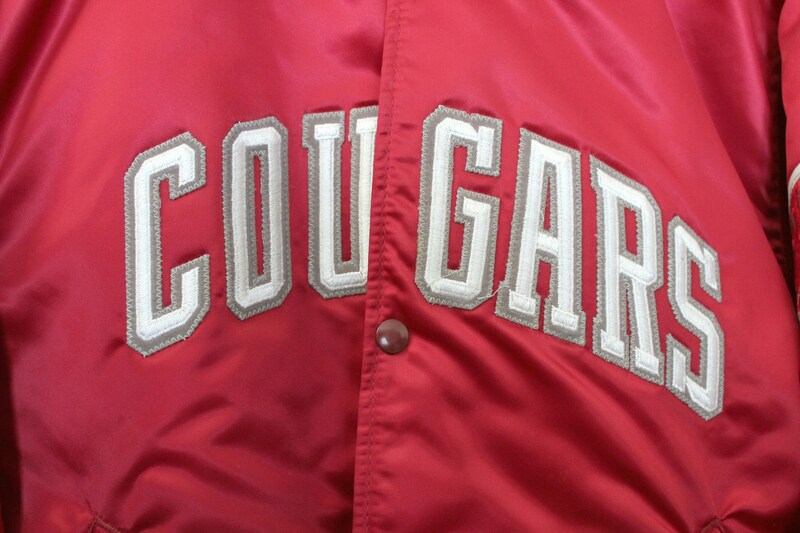 Cougars lettered on the front and WSU logo on the upper left sleeve. 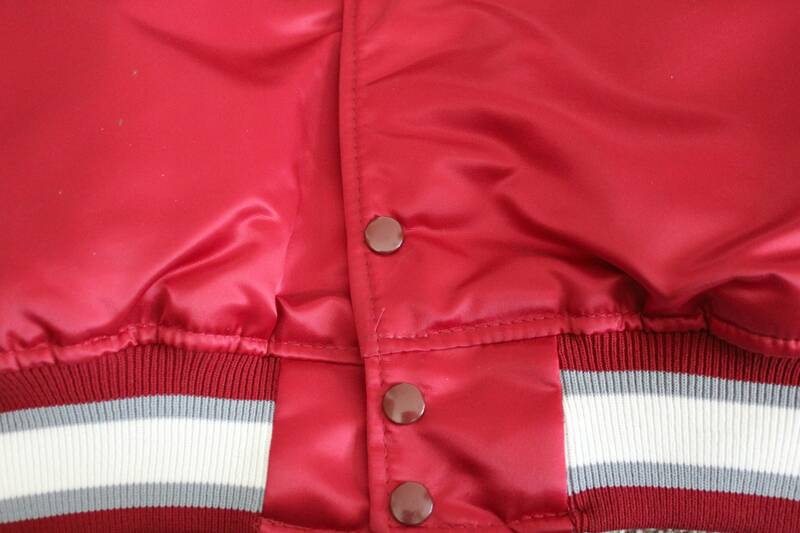 Jacket has a snap closure. 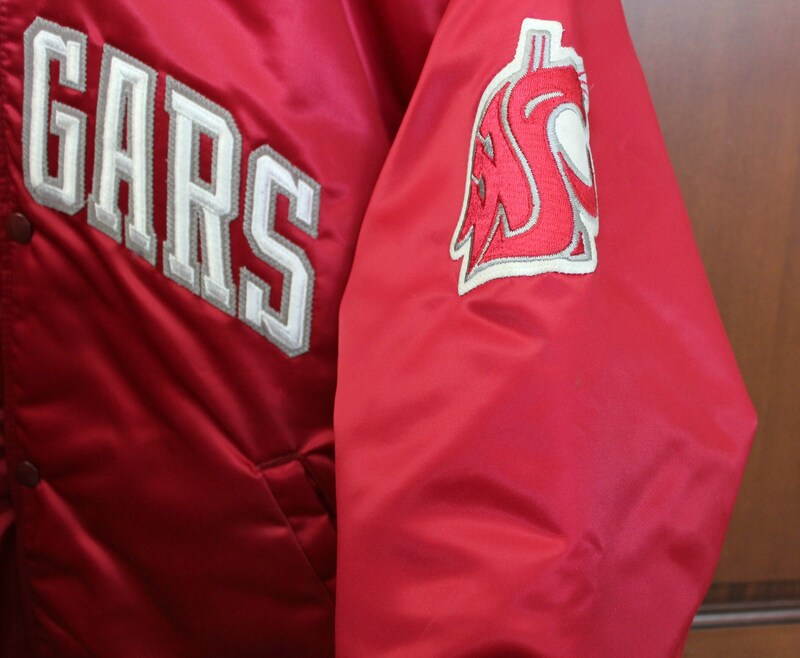 Washington State University jacket from most likely the 1980s. 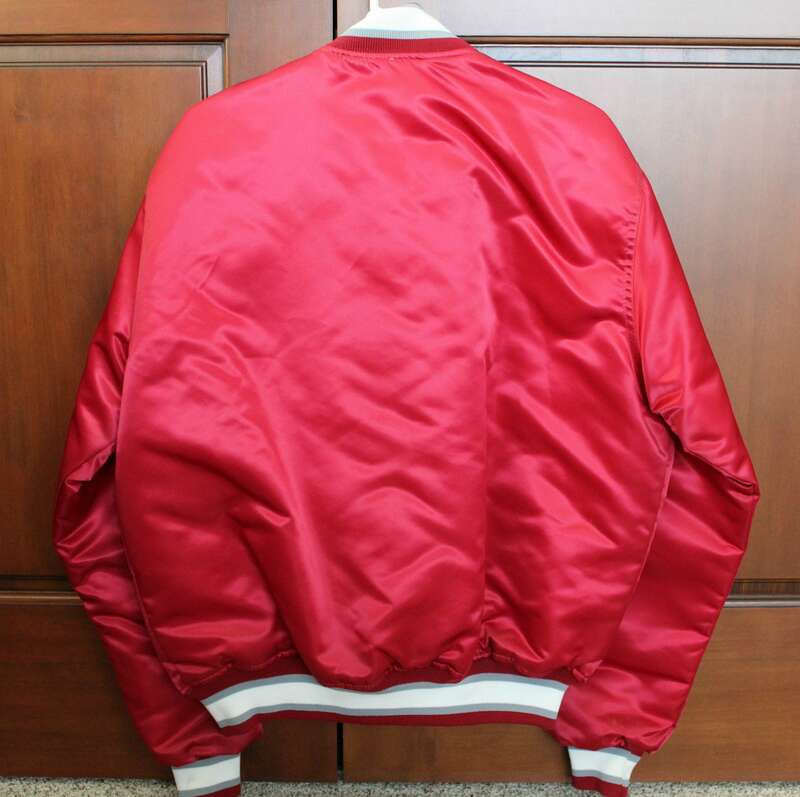 Length from back base of neck to bottom - 26"
Condition: Overall great shape. 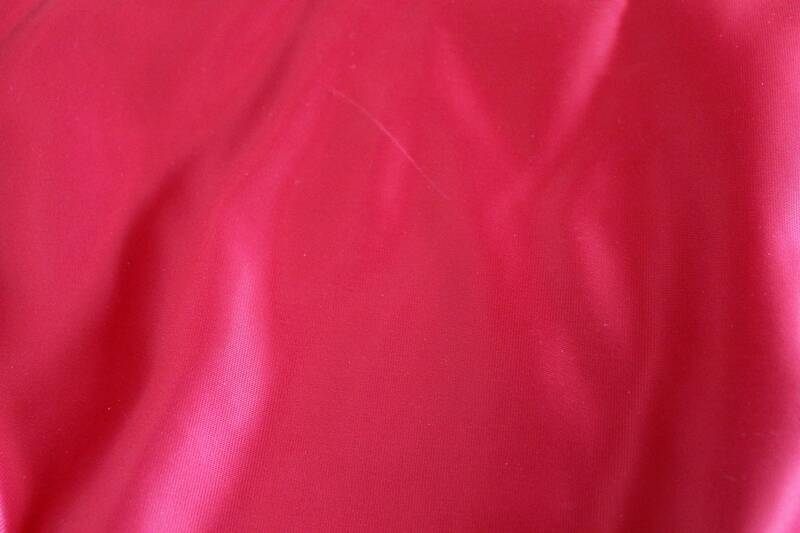 Very minor soiling to the white areas. 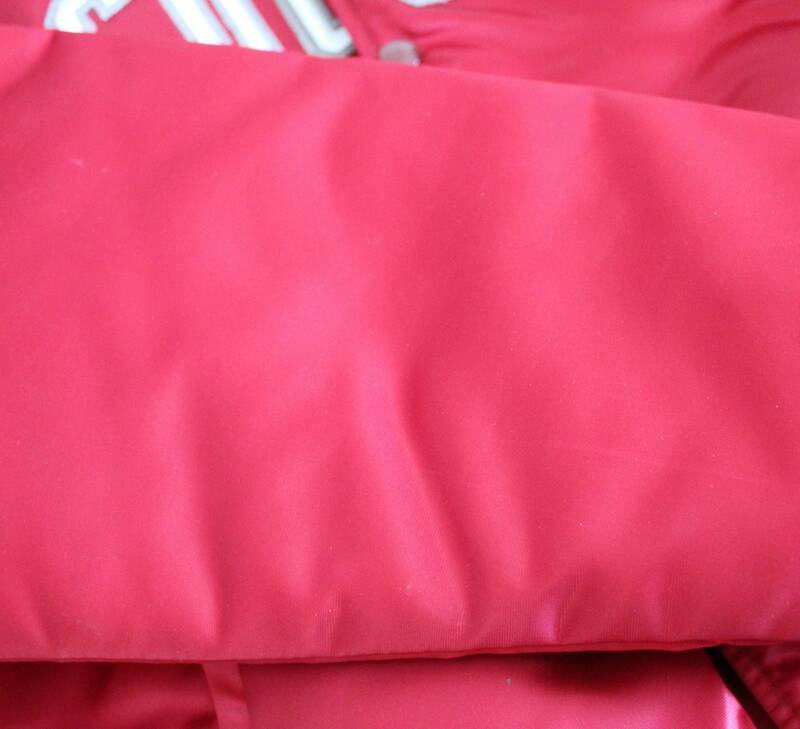 A couple places where the nylon has a scuff mark or line.